Alaska, the fourth western state? With Portland Bolt only a few hours away from steamship and barge docks, we can deliver product to Alaska in a timely fashion. 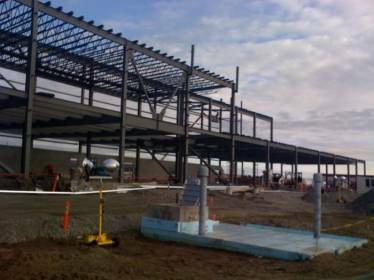 In August of 2011, Portland Bolt manufactured 19,000 pounds of ¾”, 1″, and 1¾” foundation anchor rods for a hangar in Fairbanks, Alaska in less than two weeks. With our knowledge of the barge lines and their delivery schedules, we had the order on site a week later. Let us know your preferred shipping company and we will arrange the shipment to minimize shipping times to any part of Alaska. When the frost is on the way, call Portland Bolt for quick delivery on your large custom anchor bolts and fasteners.